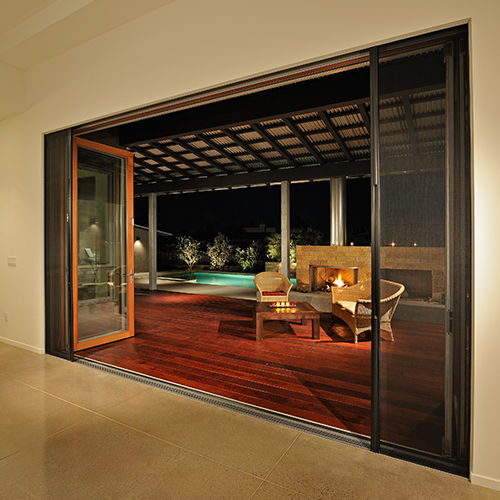 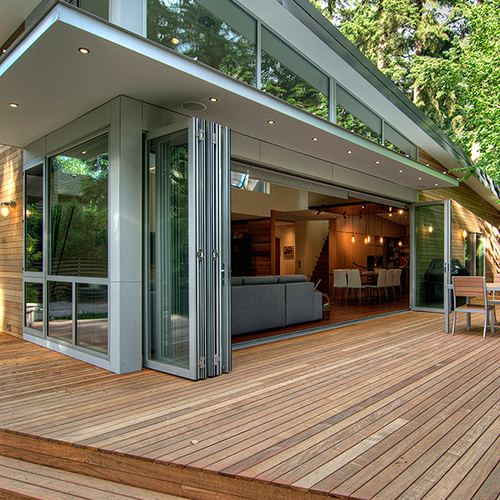 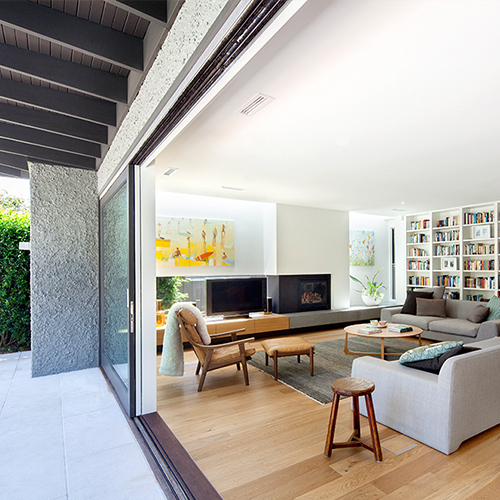 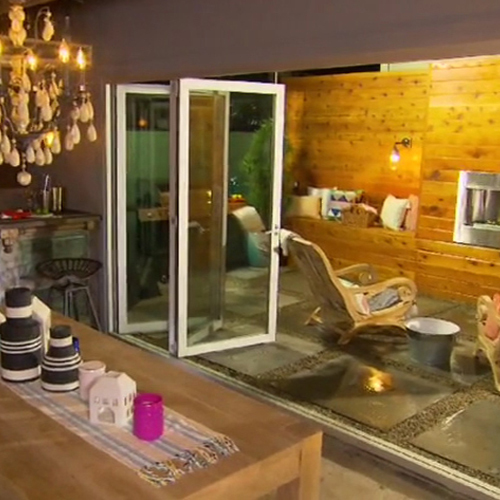 The LaCantina folding door system is what we are renowned to have perfected. 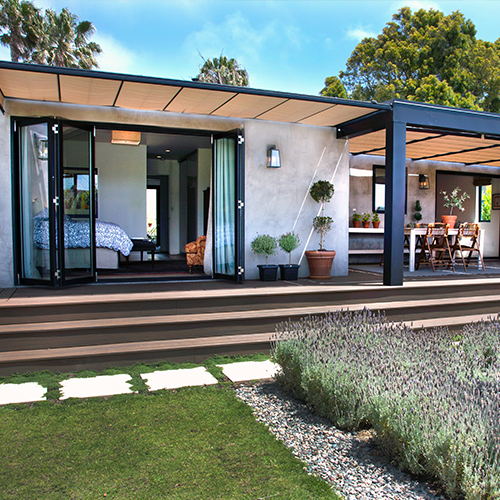 As a pioneer in folding door systems LaCantina sets the standard for style, function and performance. 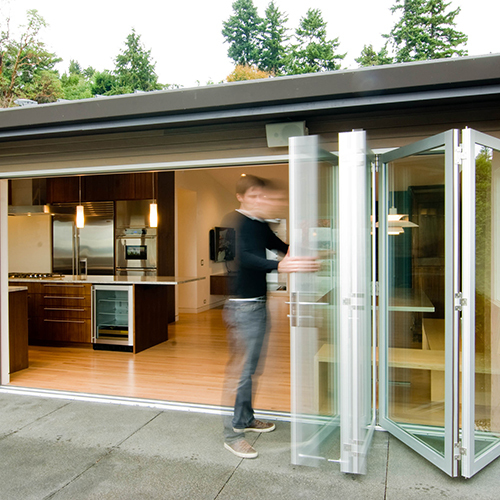 Using the highest quality rolling hardware and robust panel and frame designs, our systems provide smooth and effortless operation unmatched by other large opening door systems. 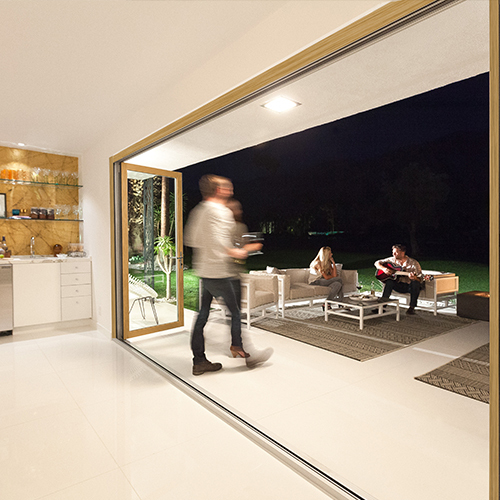 With the ability to span any size opening, multiple configurations and options to meet the demands of any project, a LaCantina folding and bifold door system is the perfect choice. 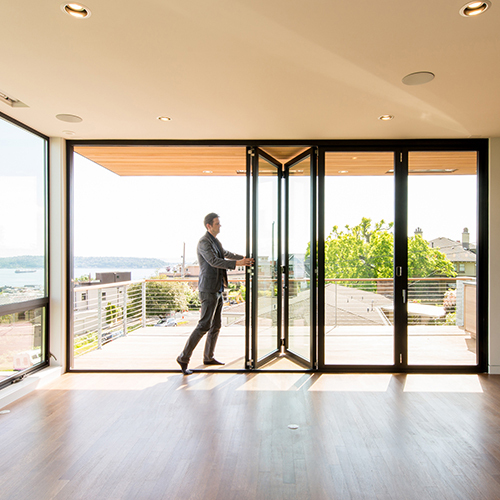 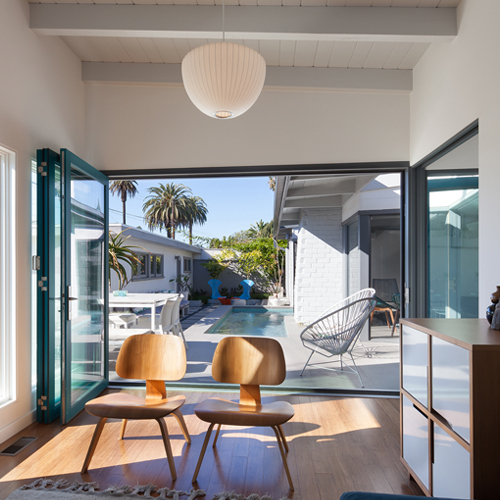 LaCantina offers bifold door systems to custom fit any opening both commercial and residential for flexibility of design. 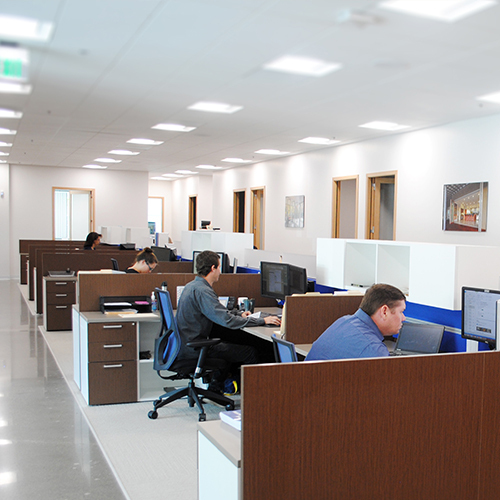 We also offer standard sizes for added cost savings and shorter lead times. 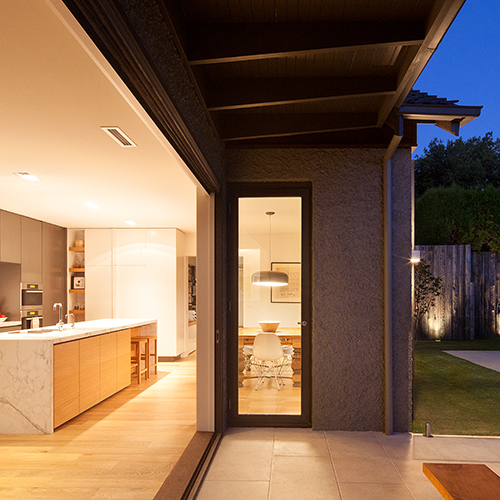 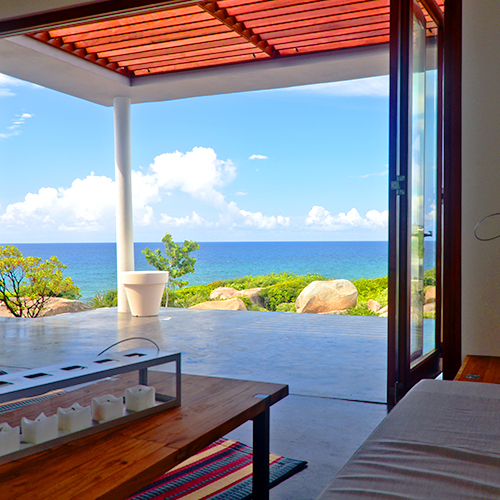 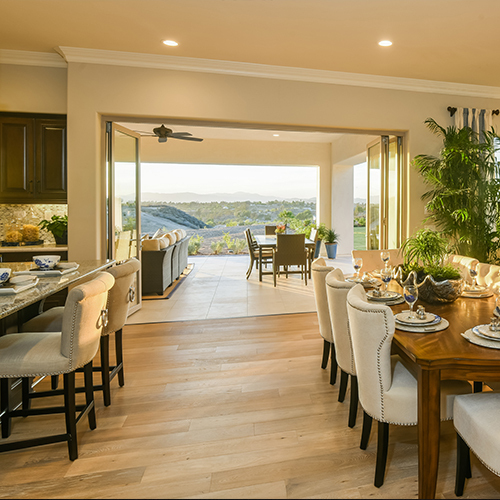 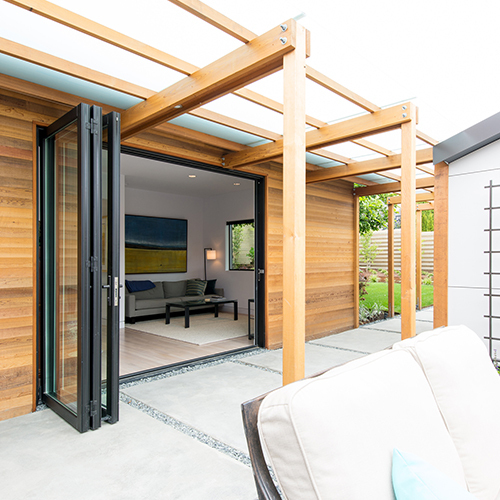 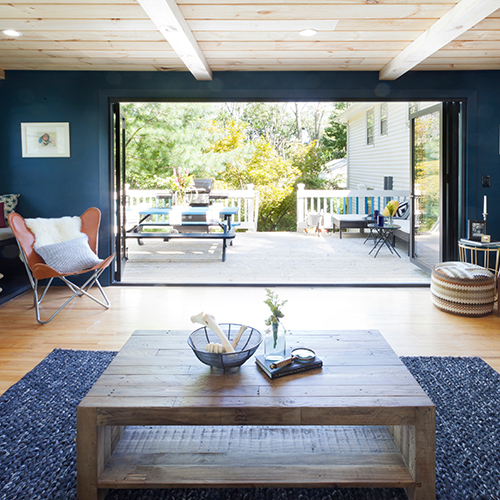 With the weight of the doors above, LaCantina Bifold Doors prevent alignment issues allowing ease of operation with effortless fingertip control. 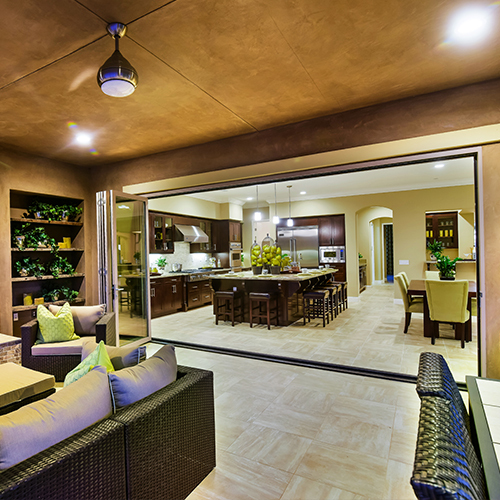 Top hung systems strategically avoid bottom rollers that collect dirt and damage wheels resulting in shorter door system lifespans. 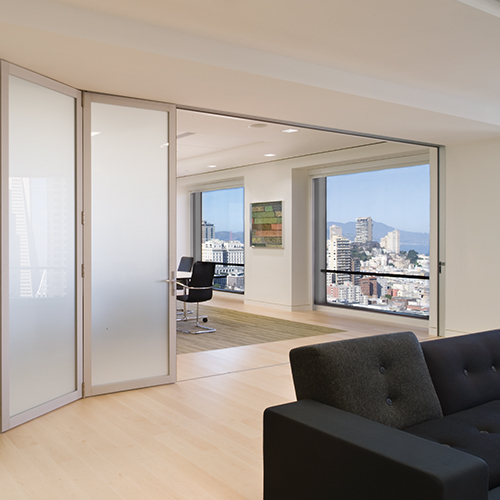 All panels are connected eliminating the cumbersome task of having to man handle each individual panel. 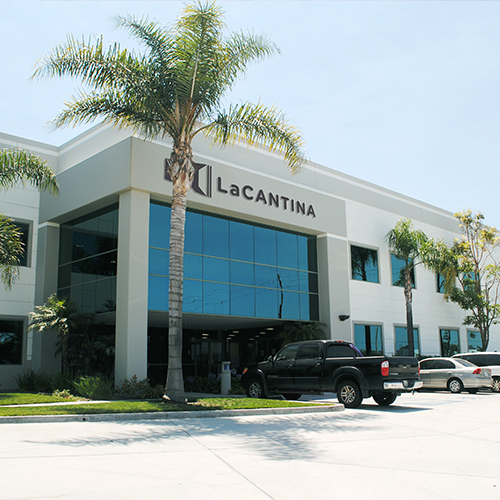 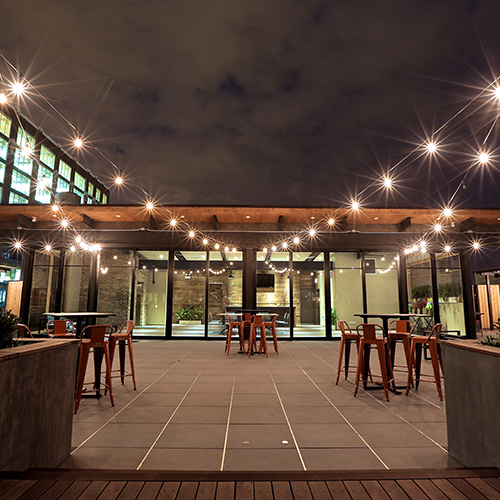 LaCantina features Cardinal Glass, the world's leading glass manufacturer with the ability to match any door and window package and meet any energy code requirement. 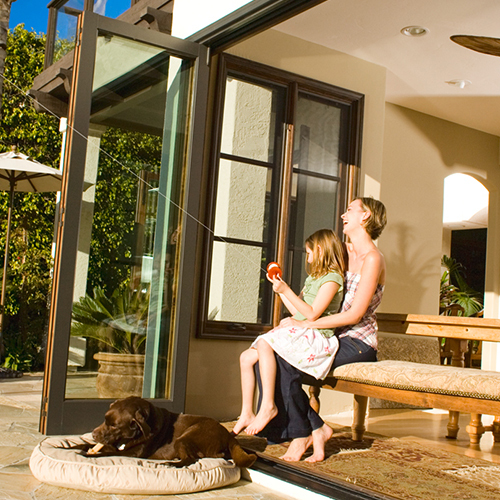 Our wide range of glass options provide you with the highest level of comfort and savings year-round fit for any weather. 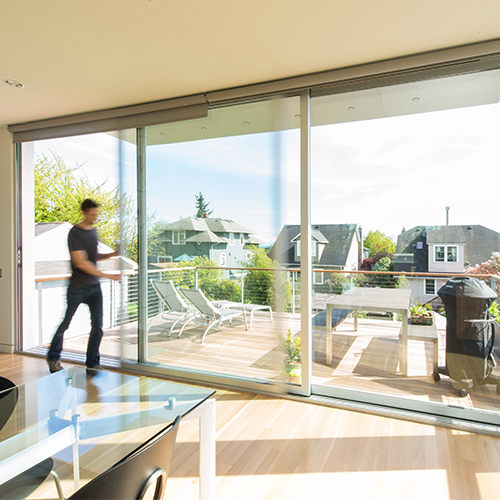 Offering both dual and triple glaze options, our dual glazed Low-E tempered glass is standard on all LaCantina's Accordion Door systems for better performance. 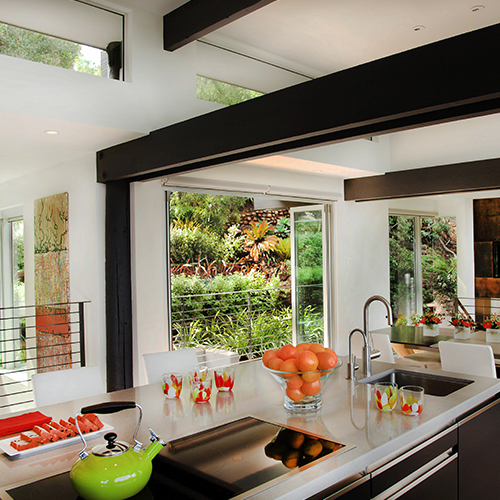 LaCantina also offers Cardinal's latest innovation, Neat Glass, which is easier to clean, lower maintenance and more energy efficient. 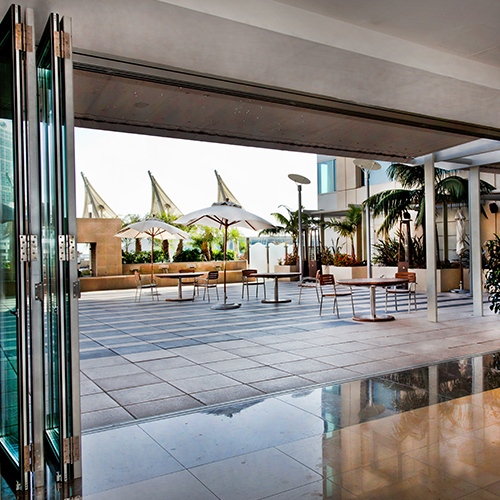 LaCantina Folding Door systems have been tested and certified to comply with the 2017 Florida Building Code requirements for all areas outside of the High Velocity Hurricane Zone (HVHZ) otherwise known as Miami-Dade and Broward Counties. 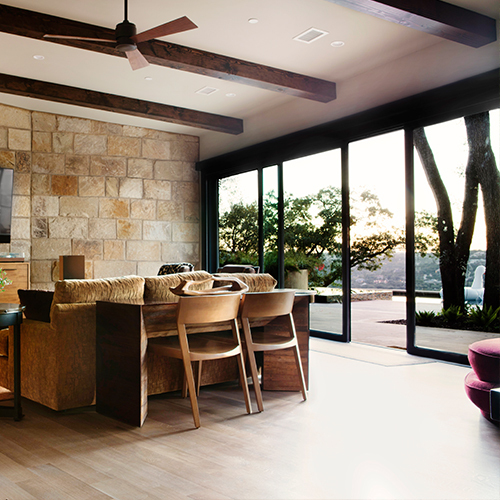 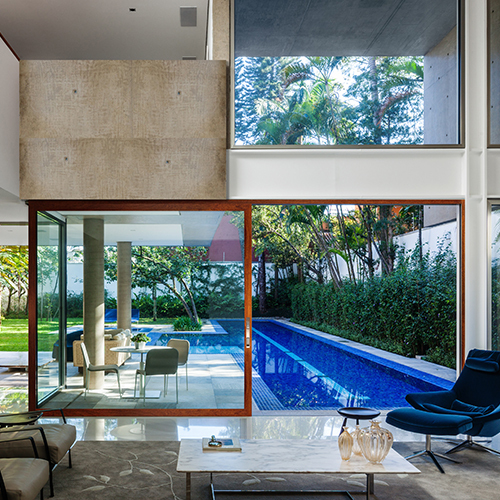 LaCantina also offers an approved Impact Rated Folding Door system that meets and exceed the stringent Florida Building Code for use in the HVHZ and other–wind borne debris areas. 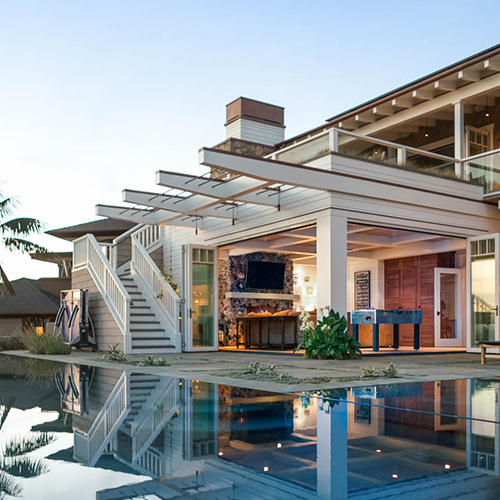 Click here to view the Impact Brochure.